Every golfer wants to break 100, but it’s usually with a score instead of an age. 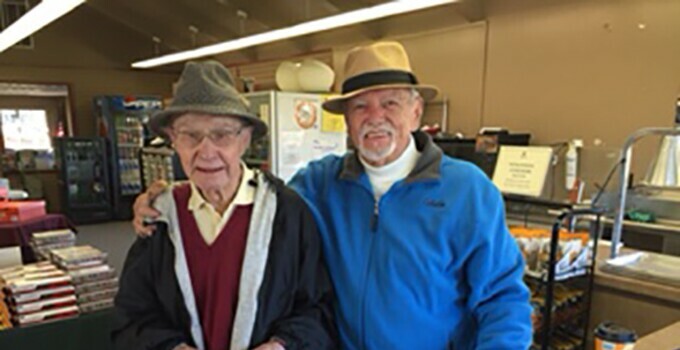 Lowell Jones, a regular golfer at Brea Creek Golf Course in Brea, Calif., turned 100 years of age on January 1 and promptly went out to play golf the same day. Jones has already played five rounds this year and played a total of 42 rounds at Brea Creek last year when he was 99. Jones first came over to Brea in 2011 when his previous club closed for a renovation. He now plays once per week with a group of three other guys. For the first three years at Brea, Jones would walk the course, but he recently decided to start taking a cart in his advanced age.